Bloomberg broadcasted a TV and multimedia item about the cool(E)motion and SunGlacier project. The SunGlacier project started as an art-meets-science project and now holds real world applications that can change how water resources are perceived. We are assembling a mobile – water from air – device that extracts 20 to 25 liters of fresh water per day. (in semi-desert conditions) This machine with the size of a table top refrigerator is designed to run on solar energy, but also can be plugged in the electrical grid. This new water well supplies water for human consumption but also opens the door to off-grid farming. For the exhibition “De kunst van Brood” we build world’s first complete off-grid greenhouse. An artist’s view to the circular economy: we grow grains in bread – and circulate all water. The result of this tough battle between nature’s laws and a new technology will be presented at the exhibition “De kunst van Brood” in Amsterdam. 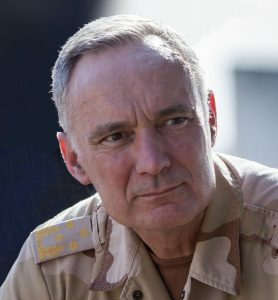 We are honoured to announce that Mr. Tom Middendorp, Special Strategic Advisor, and former Chief of Dutch Defense is appointed as the new SunGlacier ambassador. Tomorrow Mr. Middendorp will introduce the latest SunGlacier project: “From Bread to Flour”, at the PlanetarySecurity Conference in The Hague. 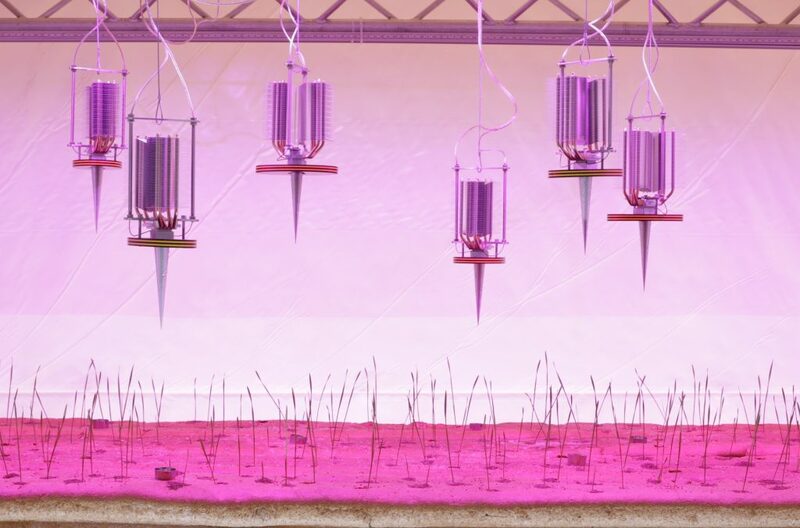 This unique Art/Tech project is build in world’s first off-grid food production laboratory: water from air technology, growing lights and climate control, all powered by solar energy.